A nonprofit aims to bring the benefits of affordable solar to the 90 million Americans who are effectively “locked out” of the solar market, through the development of shared and community solar initiatives. Going solar at home is easier now than ever before, and solar PV installations are booming because of it, but if you don’t own your home or have the necessary capital or credit record to secure the financing for a home solar array, you’re missing out on the solar revolution. But a relatively new nonprofit organization, called the Solstice Initiative, is working to bring more solar to more people, by funding and developing more community solar projects, using a combination of power purchase agreements and ‘solar shares’ to make it work financially for everyone involved. The Solstice Initiative, which was formed last year by three graduate students at Princeton’s Woodrow Wilson School (two of whom are former Obama White House staffers), is taking aim at enabling these underserved households to reap the financial rewards of solar, without having to install solar panels, while also helping to deploy more solar energy overall. 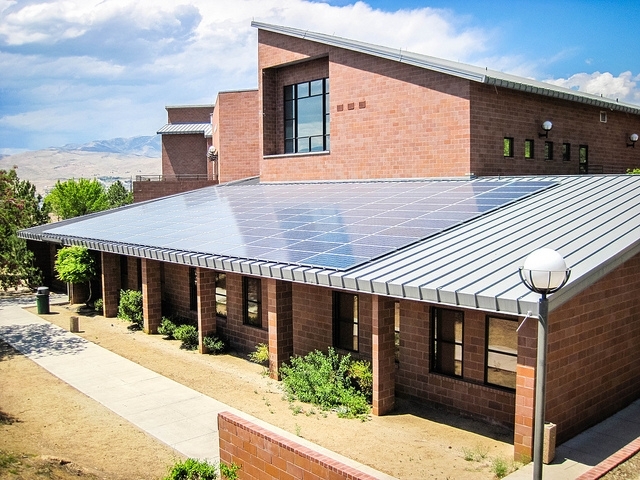 Essentially, the Solstice Initiative is forming community partnerships that can be a win/win situation for both parties, such as securing an unused rooftop in the community (on a church or other community building, for example) for a solar installation, with the owner reaping some of the benefits of the lower-cost clean electricity, while allowing for individual homes that subscribe to the plan to get affordable solar at home. • First, Solstice Initiative works with developers to build community solar arrays in which everyone can easily participate. • Second, we partner with community organizations like churches, workplaces, and schools to offer solar power to their constituents. Any home can sign up for community shared solar —no rooftop or upfront payment required. When they do, we make a donation to the community organization that helped them enroll. • Third, we ensure that homes that sign up start seeing a credit on their utility bill every month for the clean energy their solar share generates. According to FastCoexist, the organization is setting up its first project comprising about 200 households, to be located somewhere in south-central Massachusetts, which will launch sometime this fall. Learn how you can join the solar revolution today!